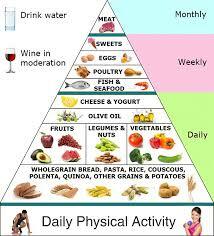 There is a large volume of research detailing the heart healthy benefits of the Mediterranean diet. Now another study, published in the journal Blood, has tied the diet to lower levels of platelets and white blood cells; symptoms of inflammation in the body. High platelet counts are associated with both vascular disease and non-vascular conditions such as cancer, and a high white blood cell count is a predictor of ischemic vascular disease. Both are used as markers to measure the rate of inflammation in the body. The Mediterranean diet consists of servings of vegetables, fruit, whole grains, fish and olive oil and this study consisted of a large scale analysis of 15,000 healthy Italian men and women aged 35 or older. The research participants were evaluated before the study and were confirmed as generally healthy. Total platelet counts and white blood cell counts were measured and participants were grouped according to their levels (low, normal, or high), based on age- and gender-specific cut-offs. In general people with high platelet levels were younger and had a greater incidence of high cholesterol and increased levels of common inflammation marker C-reactive protein when compared to those in the normal or low platelet categories. Individuals in the high white blood cell category were mainly younger, male, and smokers, and had a higher body-mass index and higher levels of C-reactive protein and blood glucose than those in the other groups. They also showed higher prevalence of high blood pressure and high cholesterol. The research findings quite clearly revealed that consumption of the Mediterranean diet was directly related to lower levels of platelets and white blood cells, which in turn correlated to lower levels of inflammation. 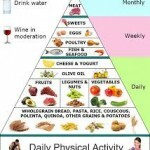 When compared with participants who did not follow the eating plan as closely, those who strictly followed a traditional Mediterranean diet were less likely to belong to study cohorts with relatively high platelet counts and were more likely to belong to cohorts with relatively low white blood cell counts. “Because the study included healthy participants, the lower levels of platelets and white blood cells in those who were more strictly consuming a Mediterranean diet indicate that this eating plan could account for substantial changes within normal ranges of variability. This is an important finding that has implications for how these anti-inflammatory markers are tracked among the general population,” added Dr. Bonaccio. ← Watermelon reduces blood pressure, atherosclerosis.